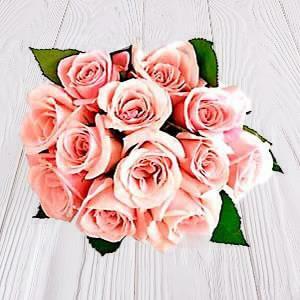 Send 12 Alluring Peach Roses to Chennai. Gifts to Chennai. Send Flowers to Chennai. Description : 12 Peach Roses arranged in a bunch looks so sensational. A gift straight from your heart! Make your loved ones in Chennai feel that you care for them a lot. Send Sensational Roses through Gift2Chennai.com and make the event memorable. Other Gifts to Chennai can also be added to enhance attraction of the gift.